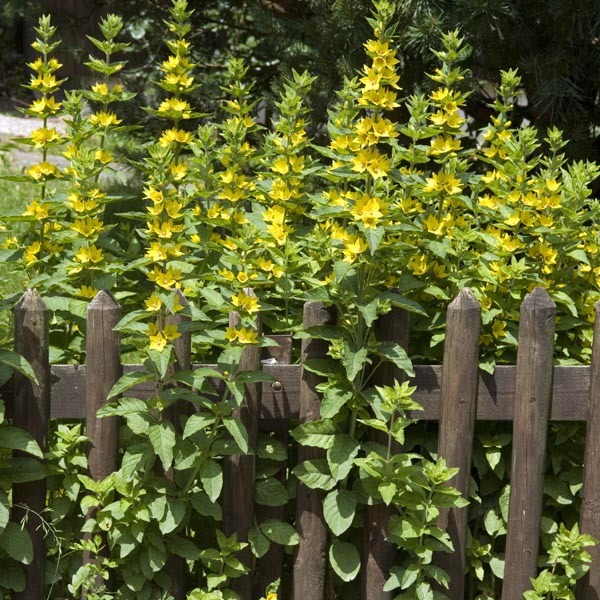 Sometimes called whorled loosestrife for the way the blooms progress up the length of the stem in a whorled pattern. These eye-catching yellow cups, on tall stems, bring a burst of sunny energy to the garden. A vigorous spreader tolerant of a range of soil conditions. Appropriate near water and in damp woodland settings. Makes a dependable mixed border plant. Nice for larger patio containers.